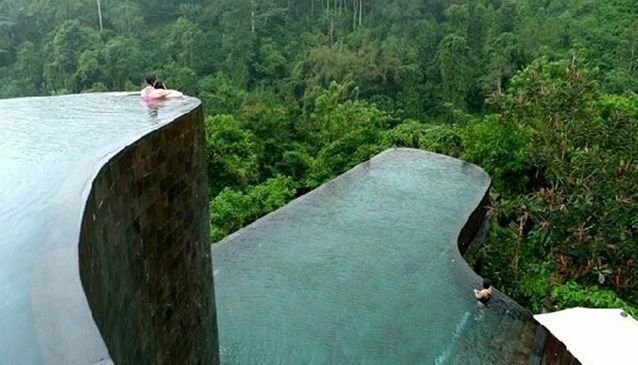 Hanging Gardens Ubud is built on the side of a gorge with an exquisite temple on the opposite cliff. Its luxury Pool Villas are built in traditional Balinese village style. Jungle-covered mountains and exotic flowers surround this fantastic holiday destination. Hanging Gardens Ubud is located in the peaceful Buahan village, just a 25-minute drive from the centre of Ubud. Come and enjoy spectacular views of the surrounding hills, the lush rainforest and the winding Ayung River in the gorge below.